Ever notice how so many skincare products are made with flowers? That’s because most flowers contain vitamins, minerals and antioxidants that are great for your skin! Here are 10 homemade flower face packs that you can make yourself! After all, why use bottled products when you can go all-natural face masks for glowing skin with real flowers? 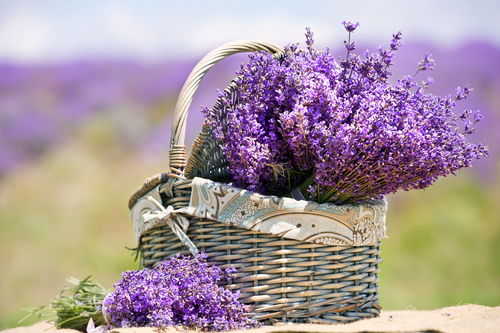 What you need for this face masks for glowing skin: What you need a) A few lavender petals b) 2 tbsp powdered oats What you have to do Boil the lavender petals in water, strain and grind them. Now, add the powdered oats to the petals and apply this paste on your face. Wash off after it dries. Do this three times a month to see visible results. Roses help retain moisture in the skin and impart that much-desired rosy glow to the face. This face mask is an excellent way to keep your skin pink and soft. What you need for this face masks for glowing skin: a) 2 tbsp powdered rose petals (you can dry and powder them yourself or buy them here) b) 1 tbsp wheat flakes c) 2 tbsp milk What you have to do Mix all the ingredients together to make a semi-liquid mixture. Apply this on your face and neck and wash off after 15 to 20 minutes. Do this once a week to gently cleanse and protect your skin. 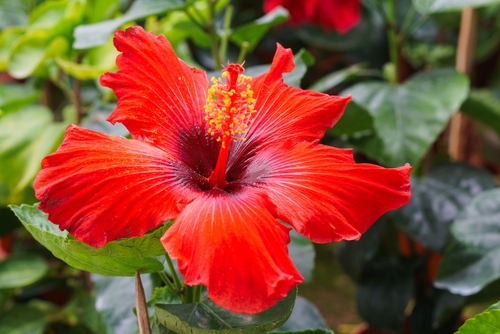 The humble hibiscus flower actually has a host of beauty benefits. It can help reverse skin damage and keep your skin looking youthful. This face pack, which also includes rose petals, is therefore an excellent one for all skin types. What you need for this face masks for glowing skin: a) A handful of hibiscus petals b) 2 tbsp multani mitti (you can buy it here) c) 4-5 rose petals d) 1 tbsp curd What you have to do Mix all the ingredients together (mashing them as much as possible) and apply the resulting paste on your face. After it dries off, use a little bit of water to gently scrub it off. Do this once a week to get that flawless glow. Marigold flowers, found by the kilo in every shaadi wala ghar, can actually keep your skin glowing. The lemon in this face mask lightens pigmentation. What you need for this face masks for glowing skin: a) A handful of marigold (genda) petals b) 3 tbsp raw milk c) 1 tbsp honey d) 2 tbsp lemon juice What you have to do Dry the marigold petals and powder them. Mix this powder with the milk, honey and lemon juice to make a face pack that you can use once a week. 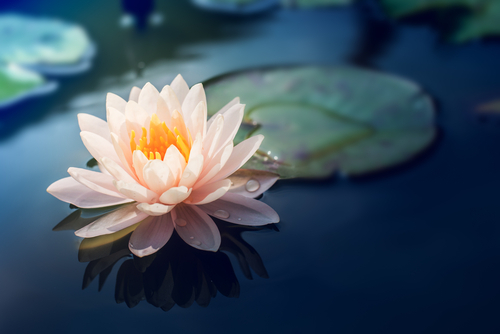 Lotus is excellent for sensitive skin as it soothes your skin and is rich in vitamins and minerals. Use this face pack to tighten pores and get brighter skin instantly! What you need for this face masks for glowing skin: a) 5-6 lotus petals b) 5 tbsp raw milk c) A few drops of almond oil What you have to do Rinse the petals and cut them into smaller pieces. Put these pieces in the mixer along with the milk and grind till you get a smooth paste. Add a few drops of almond oil to this and use it on your face to get that enviable glow! The fragrant jasmine flower helps tone your skin, while the lactic acid in yoghurt has anti-ageing properties and dissolves dead skin cells. Use this face pack regularly to banish fine lines and wrinkles and rejuvenate your skin. What you need for this face masks for glowing skin: a) A handful of jasmine petals b) 4 tbsp yoghurt c) 1 tsp sugar What you have to do Mash the jasmine petals until they form a pulp. Mix this pulpy mixture together with the yoghurt and the sugar to form a face pack that you can use once a fortnight for youthful skin. Both sandalwood powder and roses are known to brighten up dull skin and have de-tanning properties. This pack is best suited for people with oily skin. 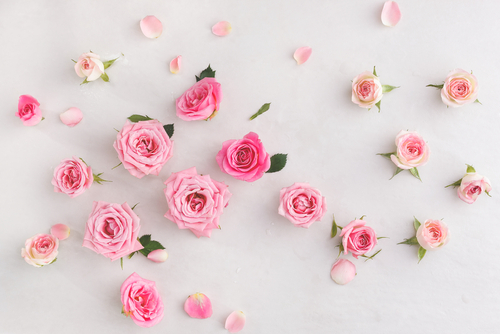 What you need for this face masks for glowing skin: a) 2 tbsp sandalwood powder b) 1 tbsp honey c) A handful of rose petals What you have to do Boil the rose petals in water, strain and grind them. Mash the boiled petals and add the sandalwood powder and honey to the mixture. Apply it on your face and wash off with cold water once it dries off. Do this twice every week to get a rosy glow! Did you know that sunflower seeds can give you youthful skin? They are rich in vitamin E, which is an essential vitamin for healthy skin. What you need for this face masks for glowing skin: a) 2 tsp sunflower seeds b) 3-4 tbsp milk c) A few drops of lemon juice What you have to do Soak the sunflower seeds in milk overnight and grind them in the morning. Squeeze a few drops of lemon juice to this and apply all over your face and neck. Use this mask a couple of times a month to nourish your skin. 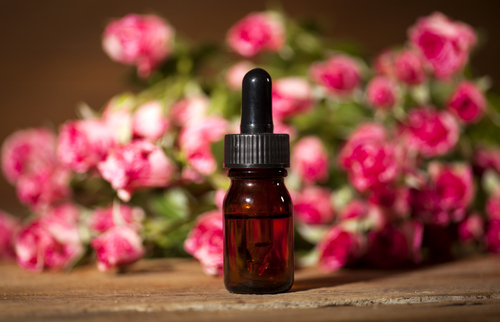 Even if you can’t find flower petals, you can reap their benefits by using essential oils. Besan is good for brightening skin while rose essential oil or palmarosa essential oil are great for dry skin. What you need for these face masks for glowing skin: a) 2-3 drops of rose essential oil or palmarosa essential oil b) 4 tbsp of besan c) 2 tbsp honey What you have to do Mix the besan and honey together, and add a few drops of water if the paste is too thick. Add a few drops of the essential oil and use this mixture on your face twice a month to notice better skin!